Some Mardi Gras Beads Have Too Much Lead Content!! It’s a scandal of the worst degree when beads have high lead content. Check out verdigras.com and verdigras.org for additional information. Verdigras is a doctor led carnival organization that is trying to get Mardi Gras to green up. 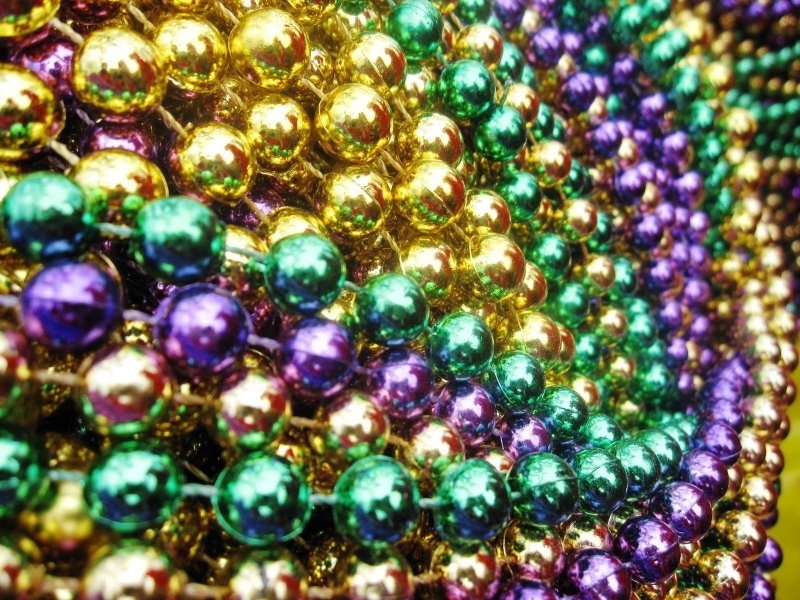 After testing a cross section of beads found on the parade routes, they found the beads exceeded safe lead levels some of the time, and the lead could be found throughout the beads in some cases. There were other chemicals found in some beads, some from flame retardant compounds in higher than allowed concentrations. None of this is good. Little kids put beads into their mouths all the time. That prolonged exposure will make the kids sick. Very sick. Verdigras’s numbers, produced by the Ecology Center of Ann Arbor, Michigan, are fairly frightening. Parts per million is the measurement used. The highest of lead level found was 29,864 ppm in a green bead. More than 60% of all beads tested had concentrations of lead above 100 ppm. Dan Kelly of Beads by the Dozen, has been testing his own beads for several years. His results from 2005 and 2006 show his beads’ lead levels are below the U.S. standard of 600 ppm. How Much Lead in These Beads? 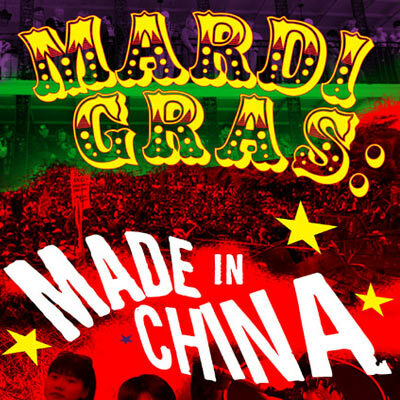 Mardi Gras Made in China is a film that depicts the real story of how Mardi Gras beads are made. The documentary follows the story of four teenage workers who sew plastic beads together with needles and thread and also pull them from a machine. Each story provides insight into their economic realities, self-sacrifice, dreams of a better life, and the severe discipline imposed by living and working in a factory compound. The raw material for the beads comes from polyethylene and polystyrene — oil based liquids supplied by the oil mega companies (and coming out of Iraq). Here, the film comes full circle. After Mardi Gras ends in New Orleans, the beads are left on the ground where some people collect them and send them as care packages to U.S. soldiers in Iraq where they celebrate Mardi Gras by tossing beads into the streets! Hence, disposable culture is exported overseas as a cultural ritual. In other words, the beads go full circle from a liquid material in Iraq, to China, to New Orleans, and back to the streets of Baghdad where soldiers exchange them in a material form.